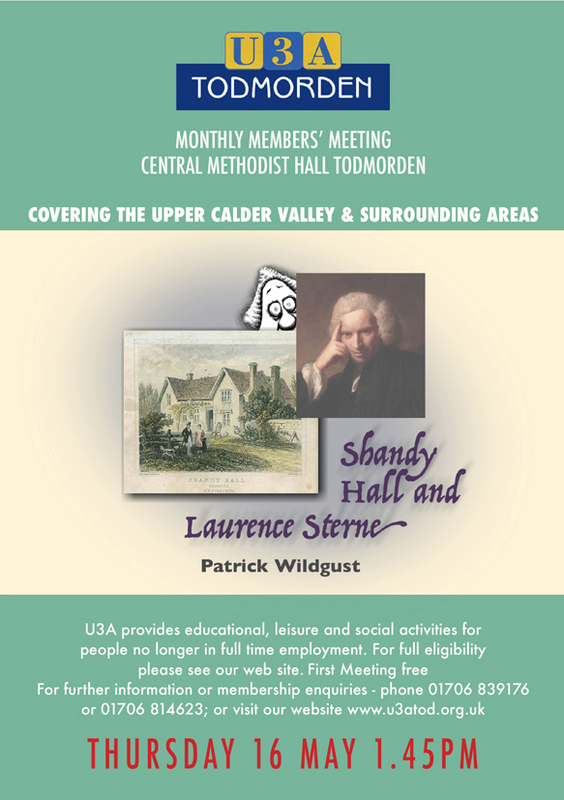 U3A Todmorden isn’t just about monthly talks and the ever-popular Let’s Go group that tours the area and beyond. We also have more than twenty interest groups meeting regularly. Like the craft group, for instance, that meets every other Friday at 11 in the Fielden Centre, large and well-appointed enough to host 20-25 people at each meeting. 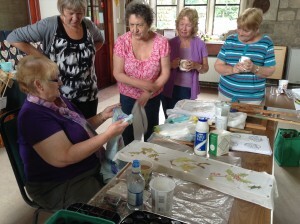 The crafts we try (writes member Jennie Coleman) are very varied, and in the best traditions of the U3A many of our sessions are run by our members sharing their skills, besides occasional outside experts. Recent sessions have included silk painting, making decorated boxes, a session covering basic embroidery stitches and a very stimulating session on the use of colour. In the near future will be bobbin lace, introduction to spinning and making ‘dammit dolls’! The group’s very friendly and as well as concentrating on our craft topic we also take the opportunity to share chat over a cup of tea or coffee and a biscuit. While there are some skilled crafters in the group many of us are happy beginners in one thing or another; the emphasis is on trying something new and having fun in a very supportive atmosphere. There is space for more members – do consider joining us! A version of this report featured in the Todmorden News on 14 August 2014.